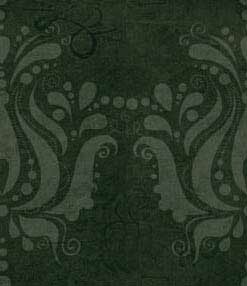 High quality, handmade powders following old recipes. Like the name says, this powder is to give someone hot feet to drive them away. 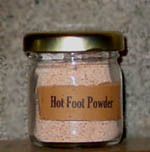 Since traditional hot foot powder is a recognizable pink, it's suggested that you mix it in with some ordinary dirt before leaving it in someone's path. This is a 1.5 oz jar. 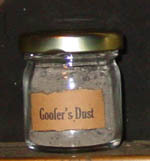 Goofer's dust is known for crossing. This is a 1.5 oz jar.